What might a Vietnam combat veteran discover about himself as he revisits the country he fought in forty two years ago? 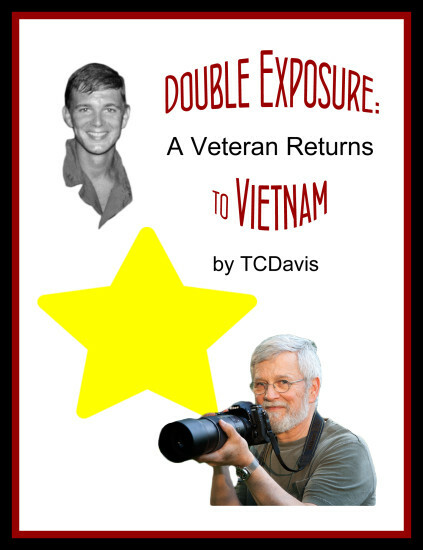 TCDavis, a pastor turned photographer, and former naval adviser to a South Vietnamese junk base, reveals his answer in Double Exposure: A Veteran Returns to Vietnam, an exciting and thought-provoking memoir of 22 photo-illustrated reflections. See my video, Returning to Vietnam. Get other digital reader versions: for Nook, Sony, etc. at Smashwords.com. Thanks for the encouragement. My friends in the Brandywine Photo Collective will be among the first to know when it’s coming out!